Both the number line and the 120 chart are important tools for our kids to use. They are equally important and make wonderful resources for our kids to use when problem solving, counting, etc. I think it’s extremely important to equip our kids with the tools necessary to be successful. 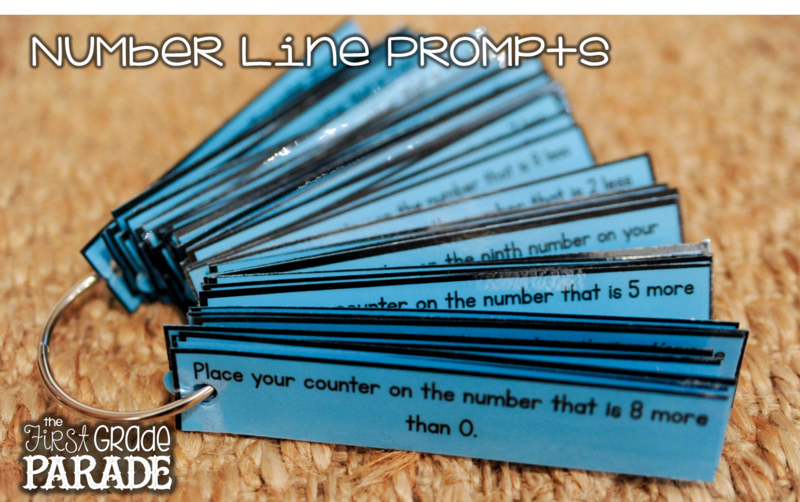 I display the number line (0-120) in my classroom and all of my kids have a personal number line they keep in their desks. Their personal number line contains the numerals 0-20. The reason for this is so that we can practice with the numbers we will more often than not work with in our day-to-day math. In Kindergarten we add (to 10) and subtract (from 10). In first grade, we’re adding (to 20) and subtracting (from 18). The smaller, personal number line just makes sense for it’s intended use in our classroom. I use the prompts to get them to look at the number line in different ways. I use the prompts to enrich their math vocabulary and get them thinking. They’re great for quick review or small group intervention. We start the year with our Number Line Prompts for quick review. They were really a huge success for my kids when I implemented using them into our daily routine. Realizing I needed a little bit more so that my kids could “see” the bigger picture as the year progresses, I went ahead and created a set of 120 chart prompts as well. 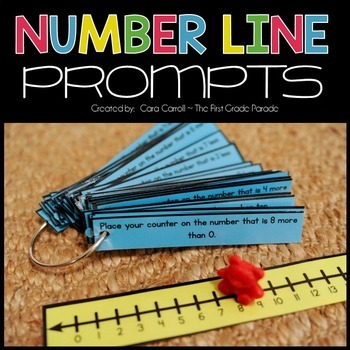 These prompts are perfect for moving “beyond” the number line. The prompts focus on concepts such as place value, 10 more/10 less/1 more/ 1 less, even & odd numbers, etc. This is a great “piggyback” resource to my Number Line Prompts and help provide that extension piece our kids need to deepen their understanding. These would be great to use for quick review or in a small group setting. Whatever works for the dynamics in your classroom! Just wanted to pop-in real quick and throw this out these in case you’re looking for something quick to implement into your daily instruction that will help to build number sense and other important math skills! I’m always looking for different ways to change things up and keep my kids engaged. Hope this helps!!! 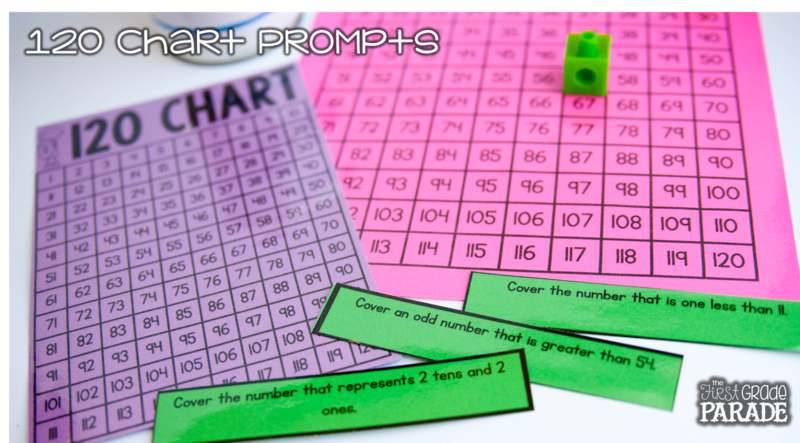 To grab your own set of Number Line & 120 Chart Prompts, just click on the pics below. Me too! Looks a fabulous resource. Would love a copy. I'm sorry for the confusion 🙂 God bless! Hello, is this available? when I click on the product there is no link. Looks like an awesome resource.